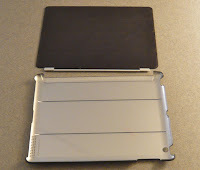 Apple's Smart Cover for the iPad 2 leaves the back and sides of the iPad unprotected. Marware's MicroShell $20 ($35 MSRP) is one of a number of backcovers specifically designed to be used with the Smart Cover. My sample was from Marware's first shipment, and has two spines along its back. 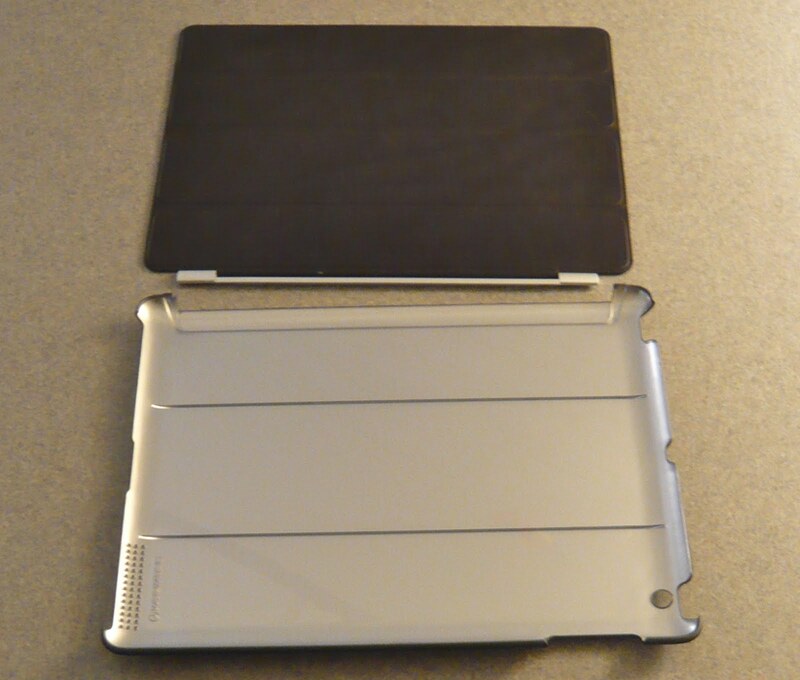 Its sister product, the Marware Microshell Folio for iPad 2 $35 ($70 MSRP), which adds a non-removable front cover to the MicroShell, uses these spines to prop the iPad 2 at two different angles. In the case the Marware MicroShell, the Apple Smart Cover does not use these spines. However they do provide something to grip when carrying the iPad. And should you inadvertently place your iPad onto a damp surface (e.g. coffee spills), they do keep the back cover dry. N.B. Recently a friend took delivery of a Marware Microshell and it had a smooth back, and so these spines may be an artefact of initial shipments only. As the accompanying photos show the fit is very good [Click on photos below to enlarge]—the Marware Microshell back cover will not come off accidentally. However to my taste, I wish the MicroShell's surface were a bit less smooth and a bit more tacky in order to provide an even better grip when carrying my iPad.